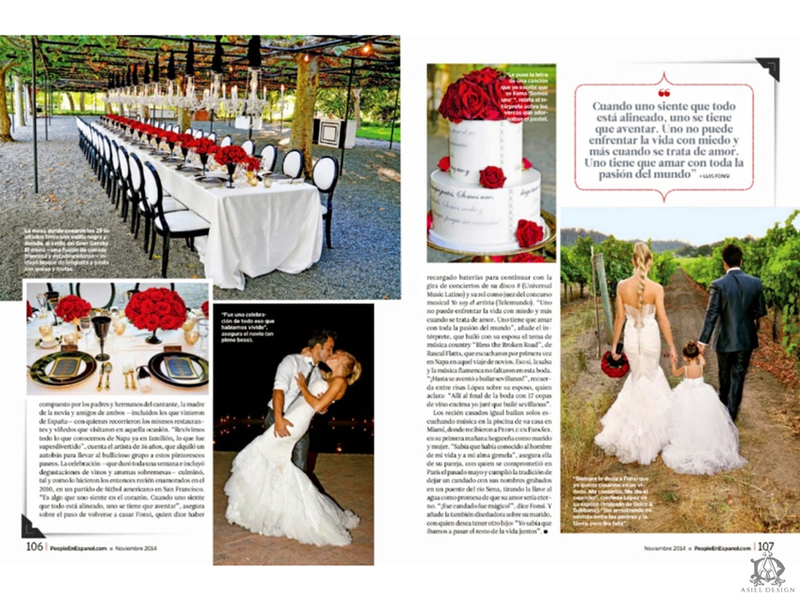 Luis Fonzi and Agueda Lopez recently wed and we had the opportunity to create the floral design for this intimate and lavish celebration. 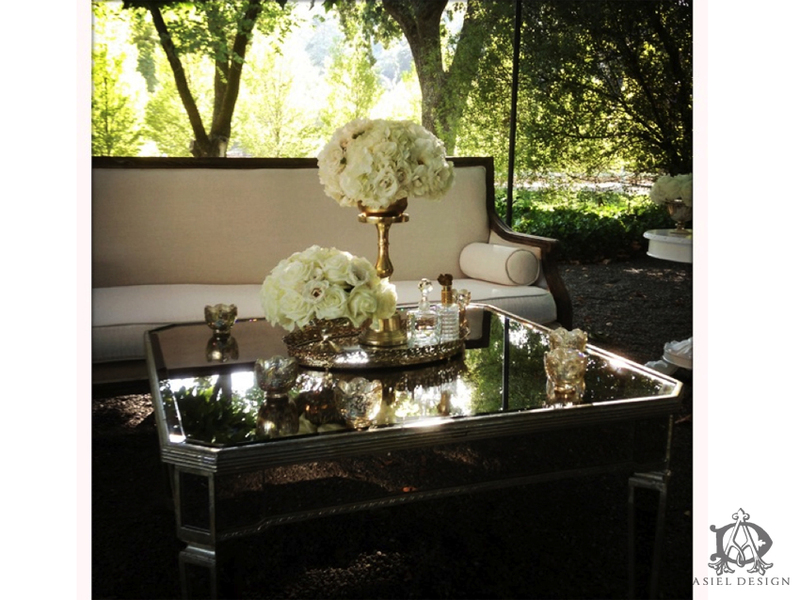 The ceremony took place at Napa’s beloved Beaulieu Garden. 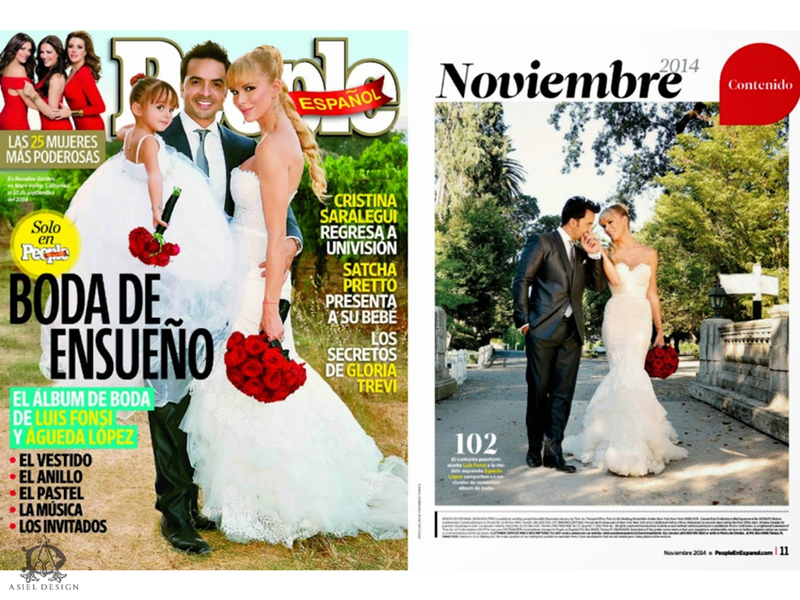 The wedding and reception took place outdoors and was featured on the cover of People Español. We also got to work with a group of fabulous event professionals to help create the client’s vision. Among them was Jubilee Lau who coordinated the event along side of Gloria Wong who designed the overall ascetic. Everybody worked hand in hand as a team and created magic. 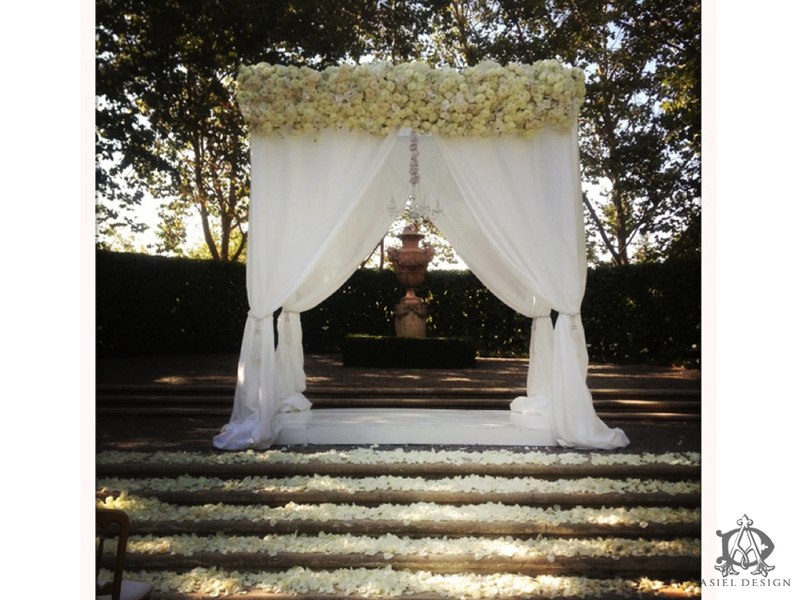 For the ceremony we used white flowers to create a dramatic floral header across a large ceremony structure. I hadn’t installed a ceremony piece like that in years and of course this one had to be done on a very tall structure and on a hot Napa day, but when it was done everybody loved the way it looked, including myself. The Beaulieu Gardens staff said that they had never seen the ceremony area look so beautiful and I had to agree. 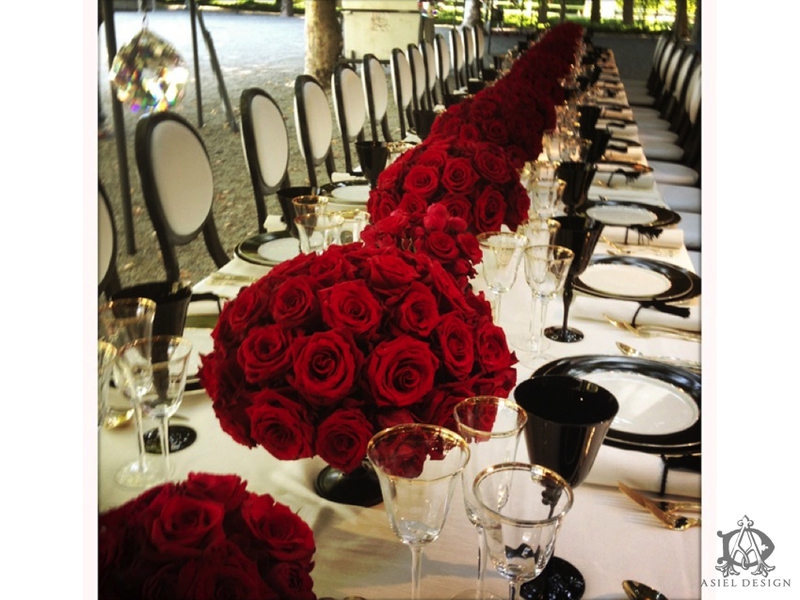 For the reception we used dramatic centerpieces filled with Ecuadorian Roses to line an extremely long kings table. 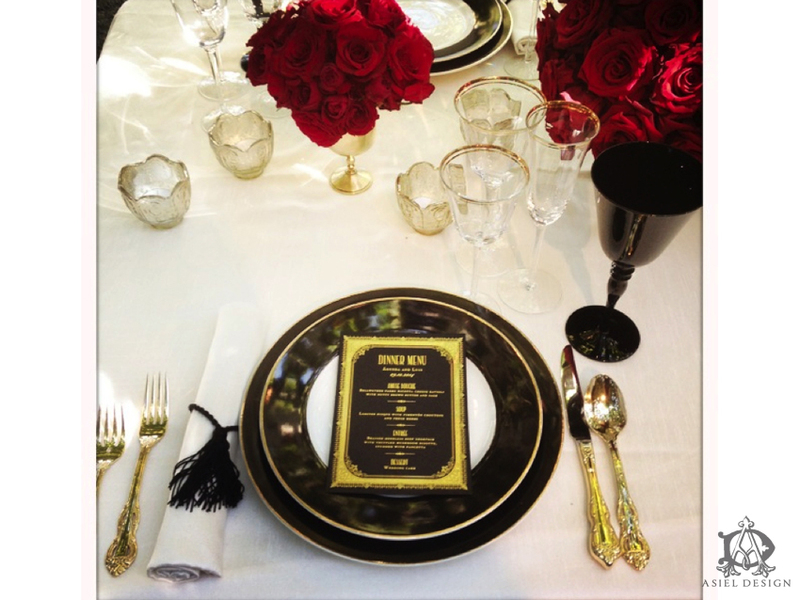 These vibrant centerpieces were offset by black and white accents that were found in the chairs and menu cards. 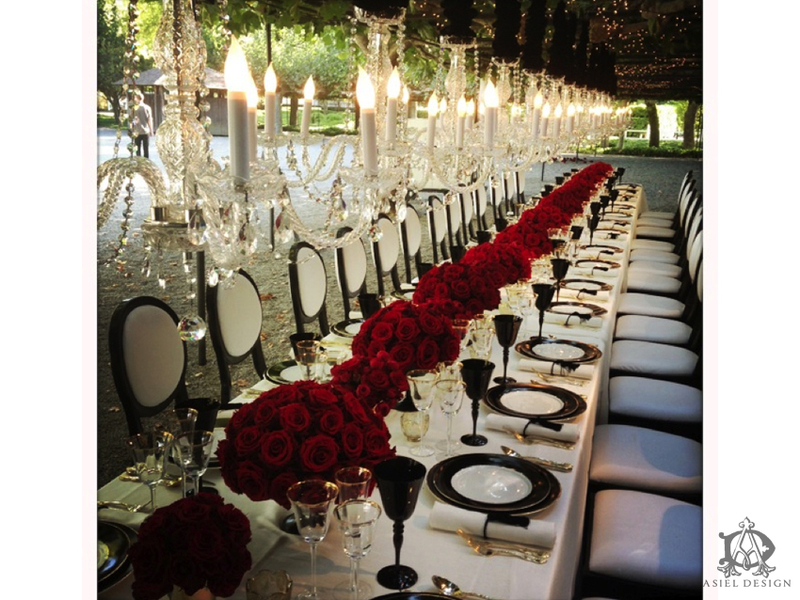 The table was also embellished by a continuous row of chandeliers overhead that gave it a glamorous feel. 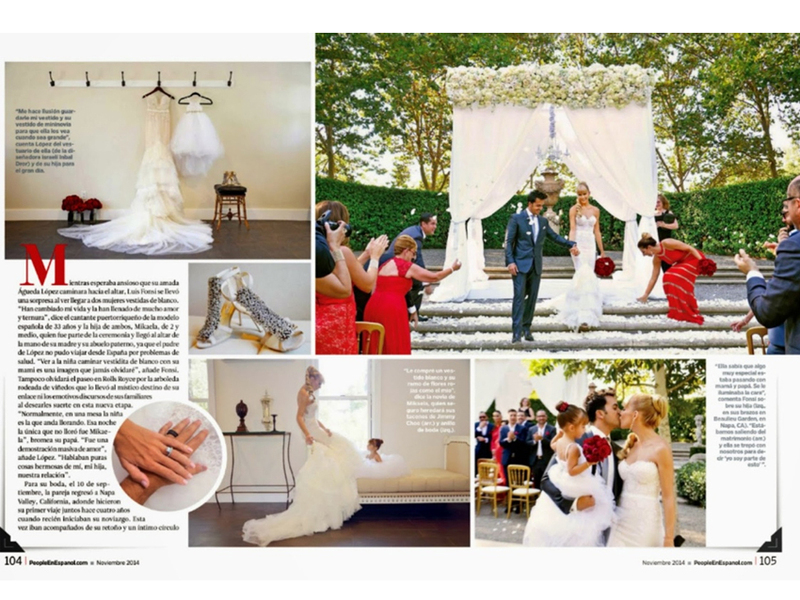 The layout above was featured in People Magazine. I also threw in a few more pictures from my iPhone. This entry was posted in Black, Contemporary, Glam, Opulent, Outdoor, Red, White and tagged Beaulieu Gardens, Beaulieu Gardens wedding, Celebrity wedding, Gloria Wong Design, Jubilee Lau Events, Luis Fonzi Agueda Lopez wedding, Luis Fonzi Agueda Lopez wedding pictures, Luis Fonzi wedding, Luis Fonzi Wedding Beaulieu Gardens, Luis Fonzi Wedding pictures, People Español, People Español Luis Fonzi wedding. Bookmark the permalink.